In England they put the queen on one side of the money, but the other’s used for significant Brits. Charles Darwin is currently on the 10 pound note, but these things change, and there’s a petition to get Turing on the ten. A Turing Tenner, as they call it. It’s all part of Turing’s 100th birthday celebration. Since Turing did some of the earliest work on computing theory and artificial intelligence, Google paid tribute to the computer legend with a recent doodle. It’s a fantastic little puzzle game based on his work. I’ll let you figure it out, but definitely try this one. Click here to play! In last week’s munch, Justin introduced us to the Yoshimoto Cube, and we’ve kept on thinking about it. 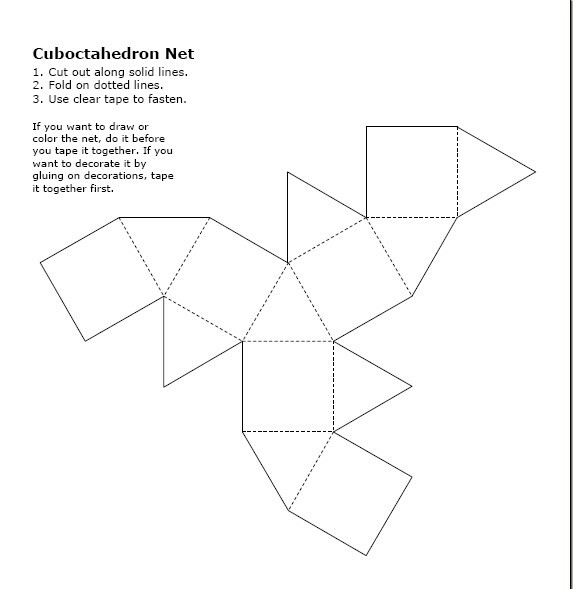 Here’s a couple simple templates for making one cubelet. (template 1, template 2) Make 8 of those and hinge them together with some tape. I made a short video to show you how to connect them. But it didn’t end there! A flat template for a 3D model like that is called a net or a mesh. Do you know any nets for a cube? There’s actually lots. 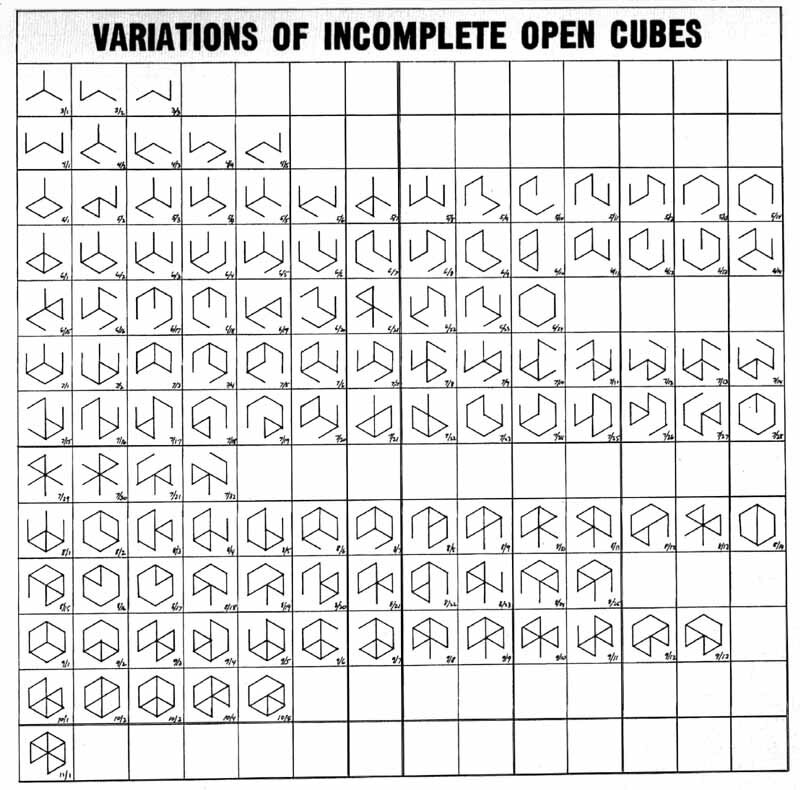 Check out this site, where it’s your job to figure out which nets fold up into a cube and which ones don’t. It’s a lot of fun. Here’s another net site showing lots of nets for a pyramid, dodecahedron, and a whole bunch of other solid shapes. How many do you think there are for a tetrahedron? Can you design one for an octahedron? A one-sheet model for the Yoshimoto cube. Yoshimoto cube, and I think I succeeded! The tape on my hinges kept breaking, so I wanted to try to make paper hinges. With my first attempt, which I called The Monster Mesh, I was able to design a net for half of the star. Down from 8 tape hinges to 2 was a big improvement, but last night I got it perfect! Using my new version, The Mega-Monster Mesh, you can make the entire cube without any taped hinges! The model is pretty complicated, so if you want to give it a shot, feel free to email us at MathMunchTeam@gmail.com with any questions. I made another video showing how the mega-monster mesh folds up. Here it is, acting like a transforming bug!